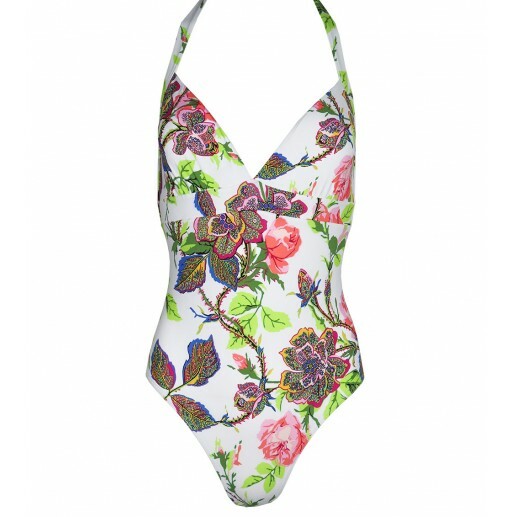 Blues two-piece swimsuit in white Tea Rose print. Bustier style top half with underwired cups. Detachable straps. Tie fastening at back. High waist briefs. Fully lined swimsuit.